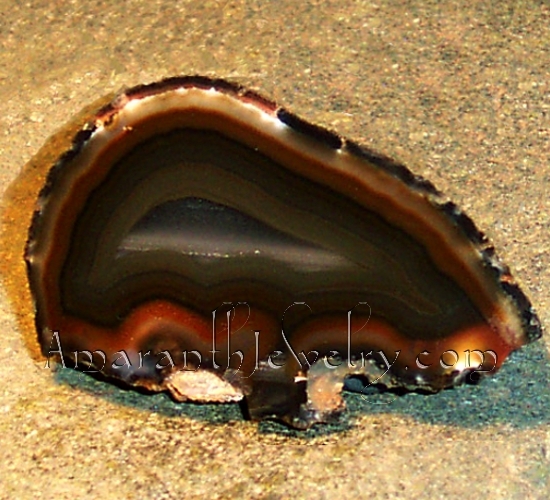 Water-Line Agate Slice, Brazil, 2 3/4" x 1 5/8" x 1/2"
Lovely slice of water-line Agate from Brazil. 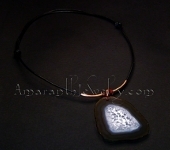 Bands of milky, opaque creams, Carnelian and olive shades surround a bluish water-line center. Also some water-line formation in the filled channel. 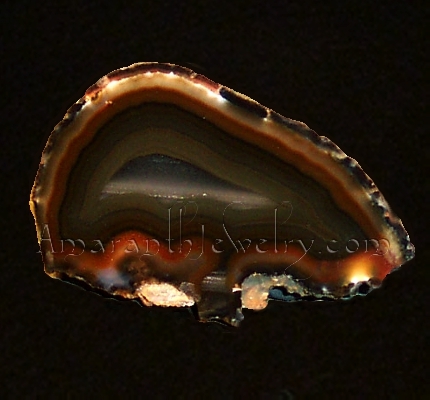 The slice has a high polish on one side; back is smooth-cut but not polished. At 1/2" thick, it can stand on its own. Metric size: 7cm x 4.2cm x 1.3cm, 67 grams. Please click on picture for close-up view.